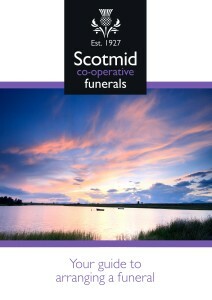 Arranging a funeral can be a difficult time, you can contact us 24 hours a day, so please call us at anytime. Our offices are open from 09:00 to 17:00 Monday to Friday, outside of office hours just call the office number and your call will be directed to our out of hours service. Dealing with the loss of a family member or friend is difficult, but knowing what to do and who to contact can make dealing with the arrangements a little easier. It’s usually a family member or friend who makes the funeral arrangements – there’s no rules about who can or can’t do it, but whoever it is they’ll need to make certain decisions and arrangements. They’ll also be responsible for paying for the funeral. When you contact us about making funeral arrangements, we’ll arrange to meet you to talk through what you want – this can be at one of our funeral offices, or we can come and meet you at your home, or at your solicitor’s office. We’ll encourage you to decide some things as soon as you can, such as whether it will be a burial or cremation, when and where you would like the funeral to take place, and whether it will be a religious or non religious service. From what happens when a person passes away, to who you need to contact and the information they require, to helping you understand the choices available when planning a funeral. This is all explained in our guide to arranging a funeral, which you can download from the link below. Whilst reading our guide will help to answer most of your questions and the content of this website will also help.